Love Chili? Love Brisket? 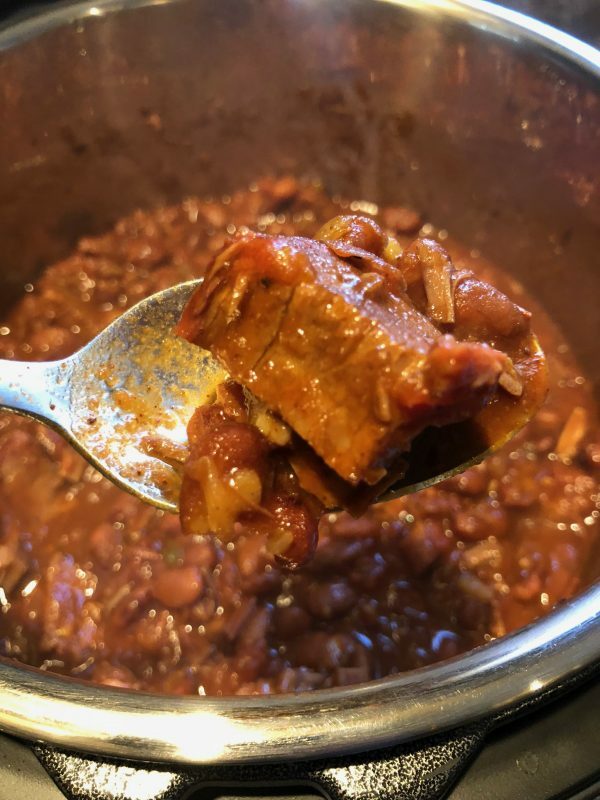 Here’s a super simple recipe for Brisket Chili in the Instant Pot! Recently, a friend recommended me trying the Instant Pot for cooking. Now, I know that they have been the craze for a while, but I’m not usually one to jump on a fad, and frankly I have more than enough cooking gadgets at my house. However, I decided to get one, and there it sat on my counter, forlorn and forgotten, as I didn’t have anything I was just dying to try in it. Snow Days make you want Comfort Food! We’ve had a bad patch of weather here lately, and it has really been playing havoc with my schedule. I did cook a brisket a couple of days previously, just to try out a new smoker. As it was just the fam around, I had plenty of leftovers. So, another snow day (enough already!) and I decided to break out the instant pot and make a brisket chili! Bam! Multiple goals in one meal accomplished- use leftover brisket, try out instant pot, and have a warming meal! Dried beans are super easy in the instant pot. Basically, wash and sort them, then just give them a run through the “bean” cycle with stock (I use 4 cups liquid per 1 lb beans.) Then, add remaining ingredients and run through another bean cycle and voila! You have dinner! Here’s the recipe- Tell me how you like it! Brisket chili will make you crave a cold day! 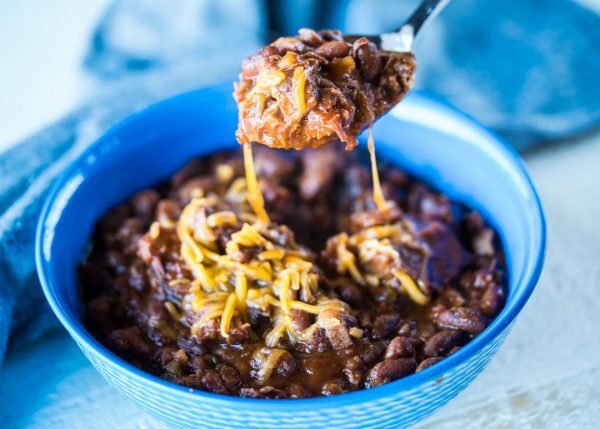 This super easy recipe uses some leftover brisket to make a great bowl of smoky, delicious chili- perfect for those cool nights! Add beef stock, 1 tsp salt, 1 tsp black pepper, 1 TBS chili powder. Turn on instant pot to "Beans" cycle, which will take 30 minutes plus the time it takes to heat up. While instant pot is cooking beans, sautée onions, peppers and garlic until golden. When cycle is finished, manually release steam. Add in brisket, tomatoes, remaining seasonings, onions, peppers, and garlic, and cubed brisket. Set Instant Pot for "Bean" Cycle again and start. Allow instant pot to cook for cycle, then release steam naturally (about 20 more minutes than cooking cycle.) Open instant pot, stir, and taste for seasonings. You may need to add some for your taste. garnish with cheese, and jalapeños if desired. Serve this bowl of smoky deliciousness and enjoy!